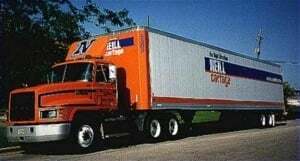 Neill Cartage is a provider of dedicated trucking & cartage contracts. We allow you the advantage of having a private fleet at your disposal while leaving your transportation worries to us. Dedicated vehicles, drivers, management, and administrative support for the exclusive use of a single customer ensures guaranteed capacity and customized logistic solutions necessary for you to focus on your core competency. Dedicated services and solutions range from the simple to the complex. Whether it's a yard spotting operation, a routine local delivery service, a daily regional line-haul, a time-sensitive cross country movement or a multifaceted distribution network, our experienced transportation experts can design a specialized program tailored to your needs. Why deal with the hassle and headaches of running your own fleet? Our complete range of dedicated contract carriage services can offer you a solution to improve your distribution efficiency.